David is a very active RC racer in the CR-914, EC12 Meter, S/B, J Class and Star 45 Classes . His performance to date is hard to match in the RC sailing community. He is the 1999 CR-914 National Champion finished 2nd at the 914 Nationals for the next 6yrs in a row and broke his Brides Maid tradition by winning the 2007, '08, '11, '12, '14, 2016 National titles. 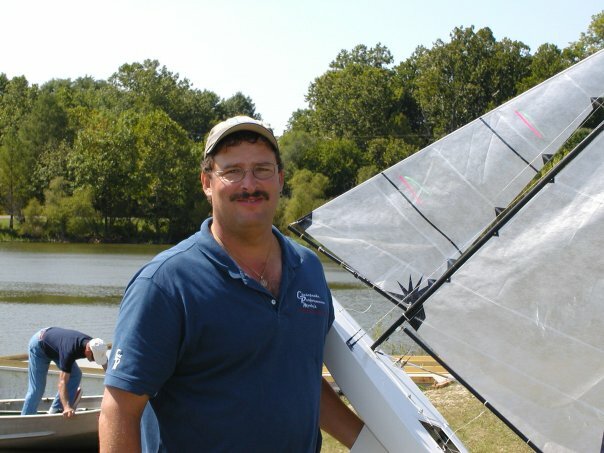 He is a six time winner of the CR-914 Spring Invitational Regatta one of the largest one design regattas in the country with other wins in the 914 class at the regional and local level. In the EC12 Meter Class David has an impressive record for the National Championship title. In the Star 45 class David finished 1st at the "07 Star 45 National championships his first Star 45 Regatta. Good friend Chuck Luscomb won the 2008 Star 45 National Championship with a Star 45 that David finished 10 min prior to the start of the regatta. In 2012 David made a dramatic comeback from 5th place at the end of day one by scoring 8 first place finishes on the second day taking the 2012 Star 45 National championships for the second time. In 2013 the Nationals were held in Dayton OH and David was able to hold on to a day one lead to defend his National Champion Title now a three time winner. 2014 had the Nationals in Mystic CT at the Sea Port Museum where David took first again followed by Chuck Luscomb in 2nd and Alex Ramos in 3rd. 2015 the Nationals were held in Tilghman Island MD and after suffering from a blown out first day battled back to come up short a the end of the day by finishing 2nd. 2017 the Nationals were held in Edenton North Carolina. Alex (Jr) Ramos had a fantastic day one and never looked back taking 1st place over his Dad who finished 2nd. In 2011 David and Chuck Luscomb teamed up to win first place the J Class National Championships in Mystic, CT in a newly finished CPM Shamrock V. In 2012 David traveled to Detroit MI for the J Boat National Championship and finished 2nd. in 2013 the J Class Nationals were held again back in Mystic CT and David won the National Title for the second time and the first time solo. 2014 the Nationals traveled to the Chicago area and finished 1st and in 2015 the regatta was held in Maryland where Jack Woobie took the honors and David and son Alex Ramos finished 2nd. 2016 the regatta went back to Chicago and in Heavy winds David took the National championship for the fourth Time. You can reach David via Email at the address listed below or phone him at the shop during business hours M-F 9:30-6:30PM.